These are supplied as a facing pair. However we are aware that some battalions may have worn them facing one way only. This may have been due to a battalion variation or simply due to a mix up when issueing by the stores. 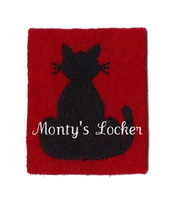 We will supply these facing one way only if required (tail will be facing right as shown above). Please select from the drop down box below which you require.